Up early this morning to pack and check out of the hotel. We'll go down to Zürich this afternoon after Paris gets off work. 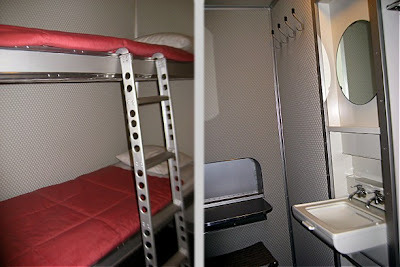 Spending the night there makes it a lot easier to catch the next morning's flight. The Fürstlich Fürstenbergische Brauerei is one of the bigger operations around here; you can find there beer just about everywhere in Baden-Württemberg. 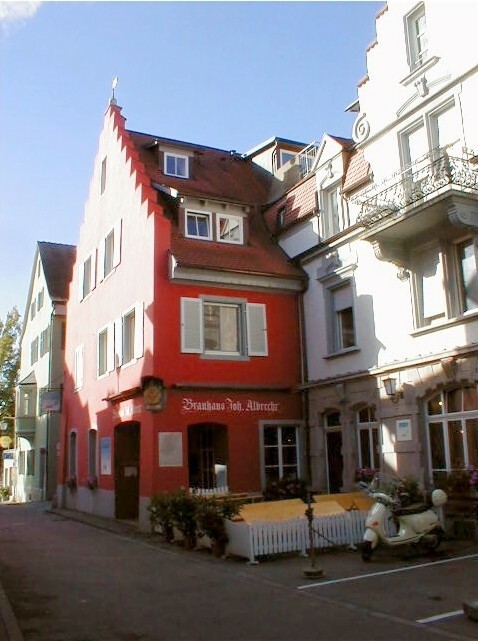 Their "Bräustüble" ("little beer room") is a large and well-appointed bar, restaurant, and gift shop, an easy 400-meter walk from the train station. They offer 100mL tasters of their draft beers for €0,90 each, so I had all eight. I had missed my train by this time, but they had four bottled beers on the menu, and I figured there would be another train later this afternoon. I asked for a Bock, but Juliana said that it's only available in the fall, so I had a Riegeler Landbier instead. Lunch was a massive Schweineschnitzel, served with a dark-beer gravy, bread, and a salad from the buffet. I got back to Konstanz before Paris got out of the office, so I had a Rothaus Pils at the Bahnhofgaststätte while I waited. The fifth stop on the IC 2132 (which should have been named "Die heulende-Kinder-Express") was Zürich Airport, and we arrived just after 5:00pm. The shuttle bus took us to the Mövenpick Hotel, where we were told that they couldn't find our reservation. There was a youth soccer tournament in town, and the only room they had available was a smokers' room for CHF279-. Free wireless access costs four bucks per hour. At least they gave us a free glass of champagne when we checked in, and the bar has good Hefeweizen. We fly home tomorrow — a 22-hour adventure every time — but already I can't wait to come back. I left Konstanz at 8:21am, so I bought a regular ticket to Singen along with the BW-Single, which isn't valid before 9:00am. Of course, no conductor came through and asked for the Singen ticket. I did get asked for a ticket on the ICE between Basel Bad and Freiburg. The BW-Ticket is no good on the Fernverkehr trains (which I knew), but they didn't throw me off since I was only going Freiburg, the first stop. Twisty streets don't look so twisty when you're on them, but it's sure easy to go back the way you came without knowing it. I wasted a half-hour wandering around Freiburg before I figured out where I was and gave up looking for Martin's Bräu. Then I found Hausbrauerei Feierling fairly easily. They brew but one style of beer and a seasonal, which they didn't have today. They did, however, serve a real tasty Rindergulasch. I was actually ahead of schedule when I left Feierling, so I tried again to find Martin's Bräu. I learned that if you don't know where it is, you'll never be able to find it. It's not actually on Kaiser-Joseph-Straße, but in an alley several blocks south of where Google Maps "approximately" locates it. Martin's brews three decent beers, and offers an interesting food menu; unfortunately, I was too full to eat. I was still ahead of schedule when I arrived at the Bahnhof. I found a Nahverkehr train — one for which my ticket was valid — headed for Basel Bad. When I got there I found that the next available train to Singen was the one I was supposed to take in the first place. So much for being ahead of schedule. Paris and I had dinner at Casablanca in Konstanz, along with some Dom Kölsch. 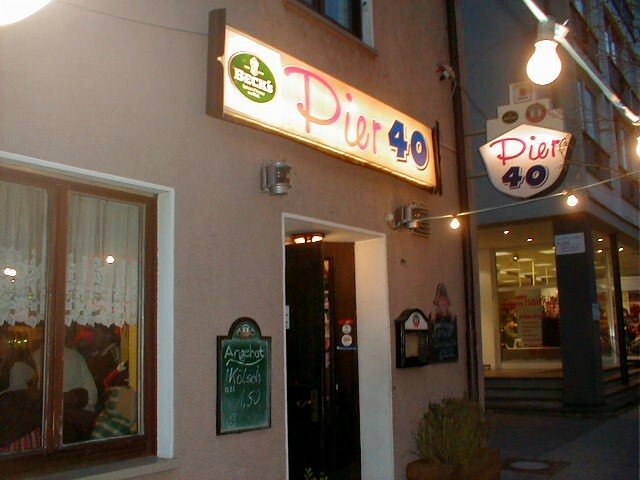 There aren't any breweries in Friedrichshafen, but I was confident we'd find someplace to have a beer. 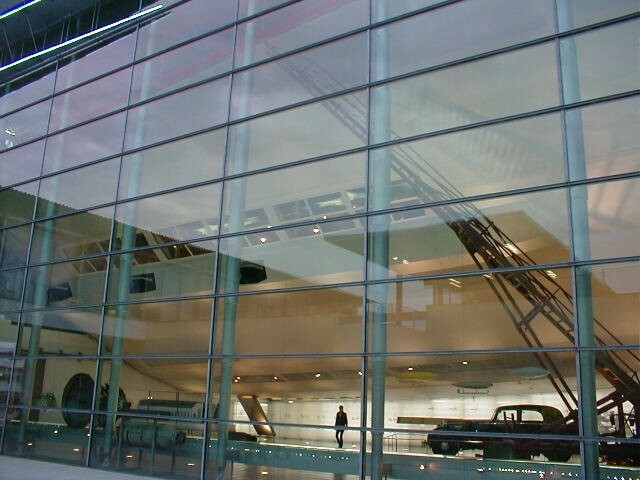 Besides, I wanted to see the Zeppelin Museum. We took the 10:02 Katamaran across the lake. The Zeppelin Museum is right on the harbor, or if you're arriving by land, it's at the Friedrichshafen Hafen train station. Warning: non-beer content follows. Beer-related content resumes below. There's fascinating stuff in the museum, the most novel of which is a 33-meter-long full-size reconstruction of the passenger decks of the LZ 129 Hindenburg. 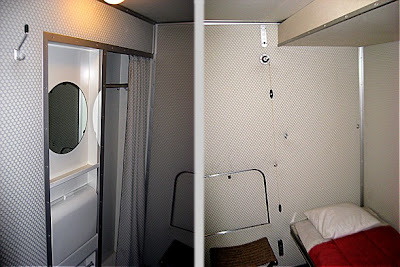 You can climb up the ladder and visit the promenade, lounge, writing room, and a single- and a double-occupancy cabin. Apparently there's another deck with the smoking room and restrooms, but it's not open to the public. Evolution of girder design, starting with LZ 1. Engine in the background is from LZ 127 Graf Zeppelin. It's really hard to describe and depict the size of these airships. None of my pictures captures the scale at all. The only thing I found that comes close is this model in the museum's lobby. The bottom part represents Friedrichshafen's Altstadt area and the harbor; the Zeppelin model suspended above is to scale. Leaving the museum, we wandered around the Altstadt in search of beer. While enjoying some fine Augustiner beers at a sidewalk espresso bar, we watched some parades come down the street. As near as we can figure, they might have had something to do with Walpurgisnacht. Or maybe they just like having a good time on a nice day in the streets of Friedrichshafen. A parade of jesters. Or something. I had stopped at Pier 40 for a beer on an earlier visit; Paris and I did the same today, enjoying a number of Meckatzer Weizen at a sidewalk table. It got to be time to head back to Konstanz, so we walked back to the Katamaran pier. The Katamaran comes into the Hafen, as a car ferry heads for the Swiss side of the lake. The Swiss Alps are in the background. Once we were across the lake, we had dinner at the Konstanz Bahnhofgaststätte (bar/restaurant in the train station). When they forbade smoking, I did not resist. I was no smoker. When they raised the insurance premiums for fat people or extreme-sports players, I did not resist. I was not fat nor a participant in extreme-sports. When they wanted to introduce the RFID chip, with which it would be possible to supervise completely the consumer's behavior, and when they had installed cameras everywhere, I did not resist. I thought, I have nothing to hide. When they finally forbade laughter, I could no longer laugh in my sleeve. And there was no one left to resist with me, because the people consisted only of informers that had driven out the amicable, social fellows. I'm also not a smoker, but I couldn't agree more. Olaf is putting up a hard fight against the city, and I wish him all the luck. Anyhow, Paris and I finished the night with a couple of beers in the hotel bar. Here are some notes from my recent trip to Germany, and an accompanying map. Up at 7:00am, on the road by 8:30, got to Omaha just past 10:00. The flight to Atlanta left half an hour late, but I had plenty of layover time to spare, and we got out of Atlanta on time. No beer today until we were in the air, then two Heineken (five bucks a can, but not too bad when it's fresh) and a couple of nortriptylene put me right to sleep. Landed in Zürich about 10 minutes late, at 8:03am, and the gate was miles from the airport's train station. I hustled through passport control and customs, and zipped over to the Bahnhof to get my ticket to Singen, where I'm supposed to meet Paris on our way to Flözlingen. I stood in line at the ticket office, and when they ran my credit card, their printer broke. But "alles OK", and I made the 8:48 train. I made two connections and still beat Paris to Singen. We continued on another train to Rottweil, then took a bus to nearby Zimmern. Normally, the 7478 bus runs all the way from Rottweil to Hirschbrauerei Flözlingen, but today's a Saturday, so it only runs halfway. To finish the trip, Paris had to make a reservation for the "RufBus" (roughly: "bus you have to call") this morning. We waited at the bus stop for the requisite 45 minutes, during which time a taxi pulled up. The driver checked his watch several times for five minutes or so and finally started to drive away. But he stopped and got out and asked us if we were waiting for the RufBus. I said that we were, and he started ranting (in German) about what the hell did we think they were going to do, send a big bus on a Saturday, and that this taxi is the RufBus, etc etc etc. But he finally realized that we weren't from around there, and immediately got very friendly and explained the whole situation and drove us to the brewery. A good laugh was had by all. I had visited Hirschbrauerei Flözlingen on my last trip, February 27. Owner Rolf Schittenhelm is such a great guy and showed me such a fun time, I wanted Paris to meet him too. She was not disappointed. I noticed after we had taken our seats that we had mistakenly occupied the Stammtisch. Rolf didn't seem to mind, and because of that, neither did the gent that was already there. We talked with them both all through lunch, and enjoyed the new batch of Hefeweizen. It was nearly time to catch the "RufBus" back to Rottweil, but Rolf insisted that Paris see his neat old brewery. Plus he had a couple of glasses of his excellent Dunklesbockbierlikör for our enjoyment. We either missed the RufBus or it didn't show up, but in any case Rolf's bartender (whose name I'll fill in when I find it) said she and her sister could take us to the train. So we had time for a couple more beers, and we bought a mug and a bottle of Dunklesbockbierlikör for my dad, and another for ourselves. There was time for a Paulaner Hefe-Weißbier at the Rottweil station before making our way back to Konstanz. Once there, we had a Flammkuchen for dinner at Brauhaus Joh. Albrecht, along with a couple of their beers. We wandered down the street to find that our favorite Kneipe, "zur steinernen Kugel", wouldn't be open for another hour and a half. 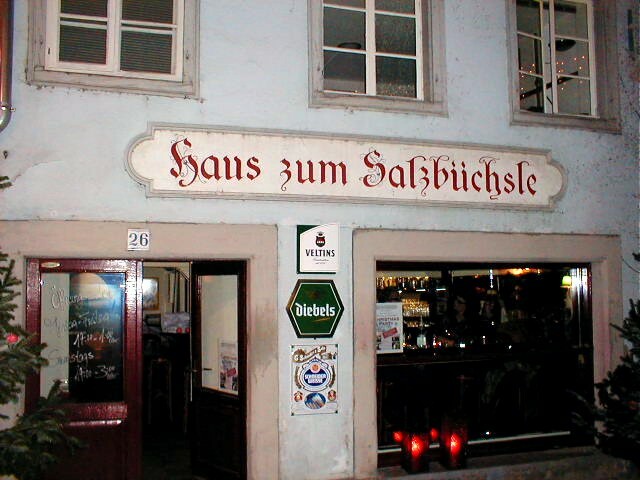 Right around the corner is Haus zum Salzbüchsle, but they weren't due to open for at least half an hour. 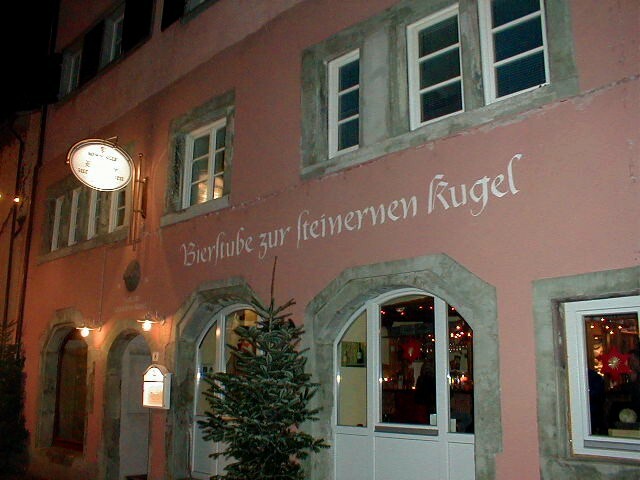 But Roter Gugelhan is just up the street, and we slaked our thirst with Erdinger Weißbier. And following the long (300-meter) walk to the hotel, we slaked further with Radeberger Pilsener.